Our first class this morning was cancelled due to some exams happening, so our day was kind of light. Our second class did take place, and went off fine. Since I was pretty tired from yesterday’s run / b-ball set, I decided I would just go for a stroll and takes some pics this afternoon. I actually ended up going to the Church on the Hill we ran to yesterday… And it is now my favorite place in Melaka! 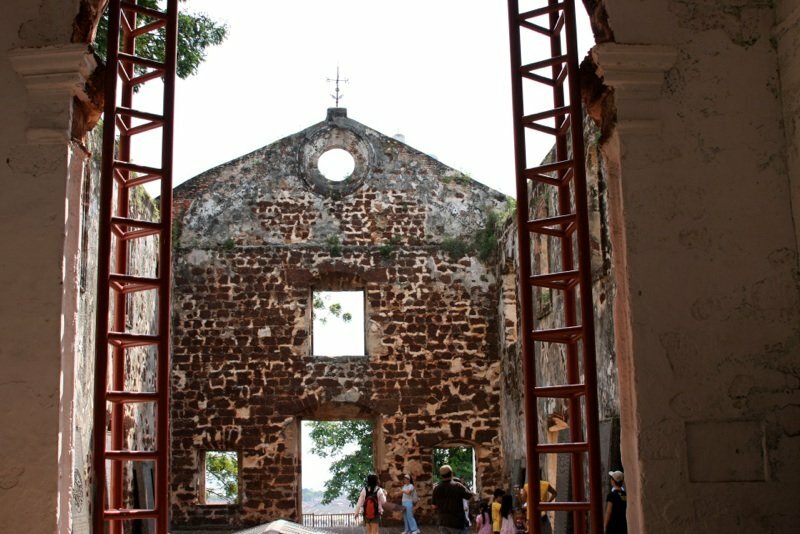 (one of the remaining church walls pictured above). Five miles later, I finished my stroll and decided that since I was all sweaty, I might as well hit the courts for about an hour. Unfortunately, my left foot / ankle is starting to bother me so I definitely think I’ll need to take the day off from exercise tomorrow. After my workout, we headed to the church for band practice… Everything is all set for Sunday! God is good, God is love, God has a plan.